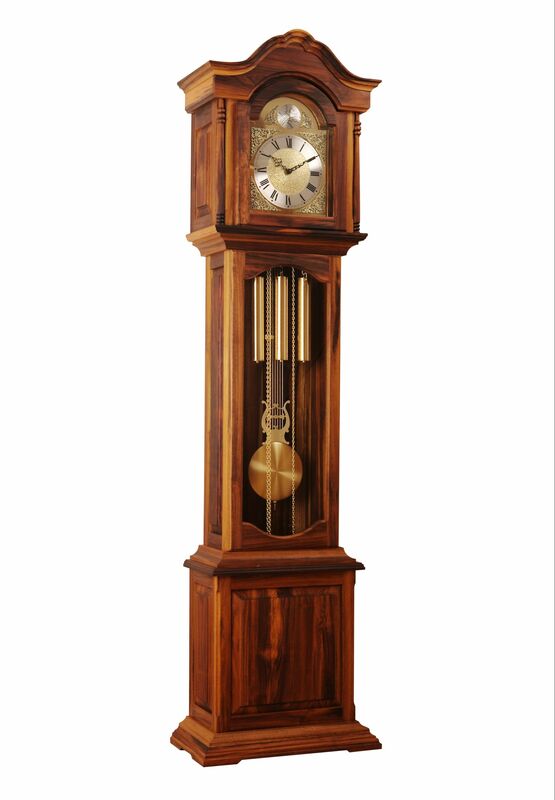 The Cape Dutch crown of this floor clock compliments modern and traditional furniture. The columns adorn the sides of a Tempus Fugit dial. The rails are detailed. It is pictured here in Ocata Bulata, a rare hardwood colloquially known as Stinkwood and grown in the Tsitsikamma Forests. The 8-day mechanical Hermle movement plays the Westminster melody and has an automatic night silencer option. Price: ZAR 55 000.00 Incl. VAT; Excl. Delivery.